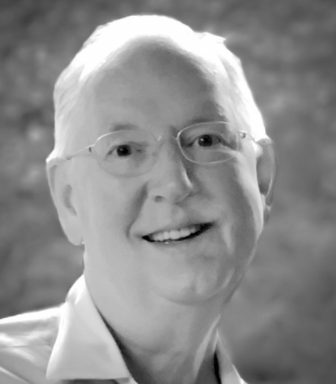 Michael C. Huebsch passed peacefully on Wednesday, Jan. 16, at his home in Darien. He was 60. Michael Huebsch, 60, passed away on Jan. 16. His memorial service will be held Jan. 26. Michael was born in Stamford on Aug. 11, 1958, the eldest son of Ronald E. Huebsch and the late Lucy Beale Smith. He grew up in Darien, attended the King School in Stamford and Trinity College in Hartford, where he received his BA in 1980. After receiving his MBA from the Wharton School, University of Pennsylvania, in 1985, Michael worked for The First Boston Corporation, where he was a vice president in fixed income research. He then joined former colleagues at the burgeoning firm of BlackRock Inc. in 1989, where he dedicated 30 years of his career. Michael was a managing director and served as a member of BlackRock’s Global Operating Committee and Global Institutional Executive Committee. He established BlackRock’s Global Financial Institutions Group, of which he served as chairman, overseeing portfolio management, client service and business development activities for financial institutions worldwide. Prior to his most recent role, he headed BlackRock’s Multi-Asset Client Solutions team and established the Global Strategic Client Program. Michael’s career achievements are renowned, and he is known throughout the industry as a man of great character, reason, and integrity. His greatest work and chosen purpose, however, was creating the foundation for a beautiful life for his family. Michael married Suzanne d’Harcourt Hooper in 1989 and together they raised children Michael (Hunter) Huebsch and Elizabeth Preston Hooper Huebsch in his hometown of Darien. Michael instilled his powerful value system within his children, and always encouraged them to pursue their own passions in work and life. Michael forged bonds throughout his life that extended the Huebsch family beyond traditional bounds. He leaves behind a strong network of friends, colleagues, and confidants who are forever changed because of his loyalty and commitment to helping others succeed and thrive in work and life. Among his many passions were playing golf, collecting art and antiques, bringing family and friends together to enjoy home cooked meals and spectacular wine, and traveling with his family. Michael’s dedication to his communities was demonstrated in quiet support of the values they champion. He devoted time to St. Luke’s Episcopal Church as a member of the Stewardship community; Trinity College’s Board of Fellows (2010-13) and Board of Trustees (2015-19); the Tokeneke Association; his children’s schools Fairfield Country Day School, Deerfield Academy, Middlebury College, and Davidson College; and the School of Risk Management, Insurance and Actuarial Science of St. John’s University where he served on the Board of Overseers. Michael is survived by his beloved wife of 29 years, Suzanne Hooper; children Hunter and Elizabeth; brother, Ronald P. Huebsch and his wife, Amanda; father, Ronald E. Huebsch, and his wife, Lillian, of Houston; uncle, Benedict Smith, and aunt, Hester, of Darien, and many extended family members. Michael courageously endured illness for years, persevering with fortitude and composure. His dignified humility, selfless devotion to his loved ones, incomparable work ethic, and intelligent sense of humor has forever marked the hearts and minds of those fortunate to know him. Michael is missed in physical presence, but he is profoundly remembered with reverence and honor. A memorial service for friends and family will be held at 11 a.m., Saturday, Jan. 26 at Saint Luke’s Parish, 1864 Post Road, Darien. In lieu of flowers, the Huebsch family asks that you honor Michael’s memory with a donation to support the work of Dr. Michael Morris at Memorial Sloan Kettering Cancer Center in Prostate Cancer research. Donations can be made online or checks, made payable to Memorial Sloan Kettering Cancer Center, can be mailed to Memorial Sloan Kettering Cancer Center, Attn: Elliott Pollock, 885 Second Ave., 7th Fl., New York, NY 10017. Please indicate on the check that the gift is in memory of Michael Huebsch.